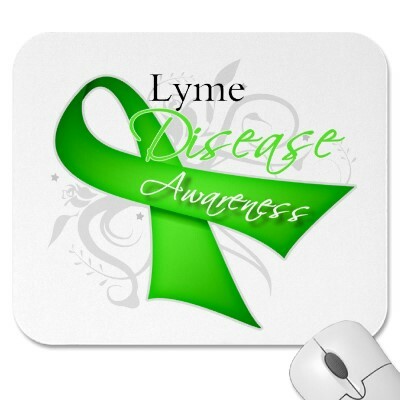 It's May and that means Lyme disease awareness month. Lyme is caused by the spirochetal bacteria Borrelia burgdorferi (Bb) that is transmitted through the bite of an infected tick. Therefore Lyme is primarily a tick-borne infection and ticks can potentially affect anyone. However, it can possibly be transmitted through infected mosquitoes, fleas and other insects as well. Lyme disease is not to be taken lightly. If left untreated or not treated sufficiently, Borrelia can disseminate throughout the body damaging cells, organs and tissues. It is a multi-system disease, meaning it affects many systems in the body. Late stage Lyme can greatly affect the heart, joints and muscles, as well as the nervous (central and peripheral) and immune systems. It has been documented that the Bb bacteria can invade the brain within the first 48-72 hours of infection. Lyme disease is also known as "the great imitator" because it can mimic so many other diseases and illnesses. So accurate diagnosis is paramount. Remember ticks also often carry other serious pathogens such as Bartonella (Cat Scratch Fever), Babesia, Ehrlichiosis, Rocky Mountain Spotted Fever, Relapsing Fever, Q Fever, Tularemia and Powassan virus. This speaks of the more common picture of Lyme disease today, which is chronic relasping and includes multiple co-infections, such as those listed above, as well as viruses, parasites and fungals. This is more appropriately termed the Lyme disease complex. I'll be writing more about this throughout the month, as well as the life stages of ticks and how to recognize and remove them properly. We are now entering the season that ticks are most active (mid-Spring to Fall). So please be mindful to check yourself, your kids and your pets for ticks after being outdoors. And don't forget to check those inconspicuous places like belly buttons, underarms, in and behind ears, between toes, and groan areas. Educate yourself. Please see What Is Lyme Disease? for more detailed information about risk factors, safety precautions and the symptoms and stages of Lyme. Please see Resources for a list of helpful websites, blogs and books related to Lyme, co-infections and other relevant health issues. You might also want to consider reading The Complexities of Lyme Disease series by Thomas Grier, M.S. Part 1 can be found here or the entire series is listed in my blog archive (March and April 2013).